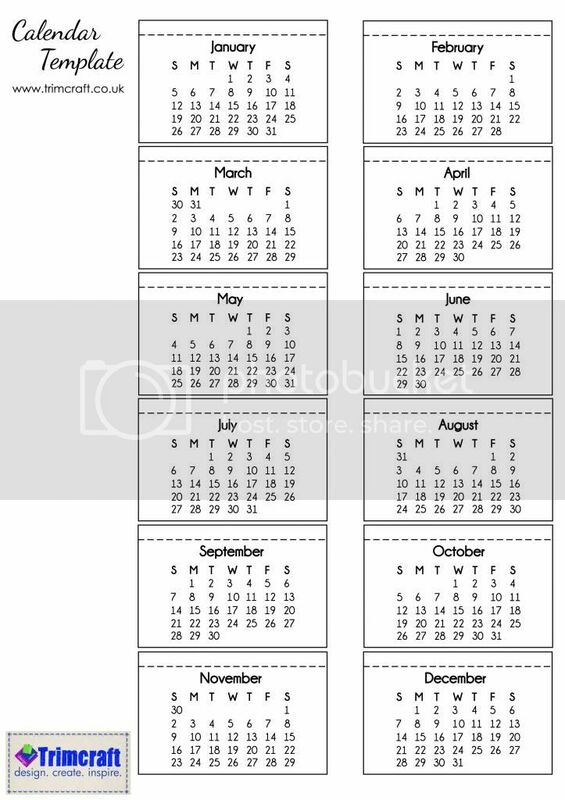 Click to Download the Calendar template here. 4. Cut a 9cm circle from the orange card and a 8cm circle from the floral paper, mat together and mount on the front fold so half the circle freely hangs over when folded. 5. Mount the calendar months on orange card and trim to leave a 5mm edge. Stick down on the front of the card. 6. Use the large 3D flower Grand Adhesion on the base of the card to secure the easel fold, finish by embellishing with the sentiment and other stickers. 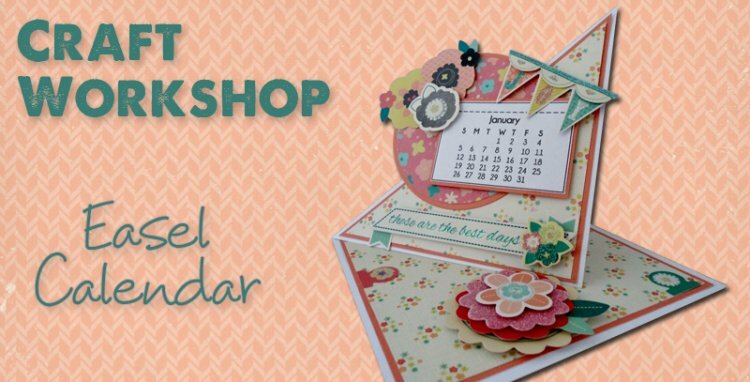 There you have an easy to make calendar that can be enjoyed for the next 12 months, these would also make great gifts for friends and family. Below are some other versions from our design team.